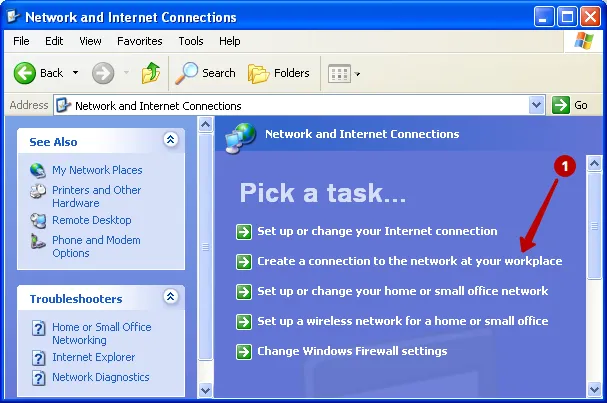 Choose Network and Internet connections. 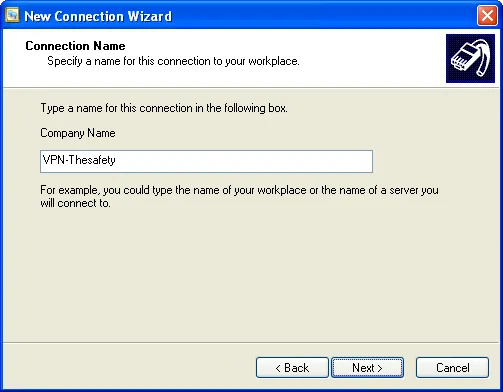 Click Create a connection to the network at your workplace. 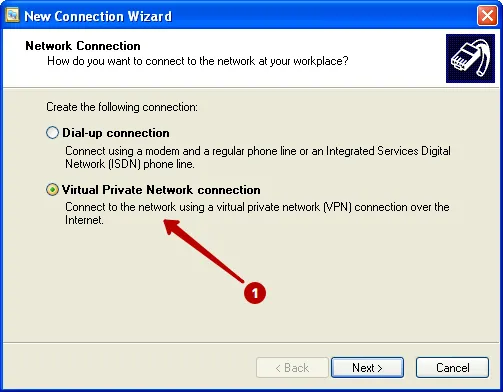 Select Virtual private network connection. 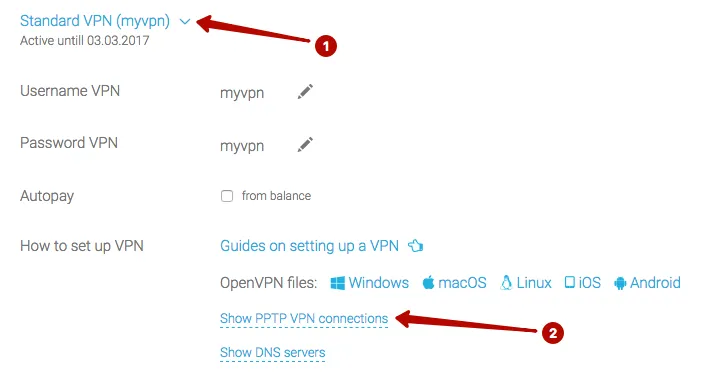 In the "My Account" view a list of IP addresses PPTP VPN servers, Username and Password VPN. 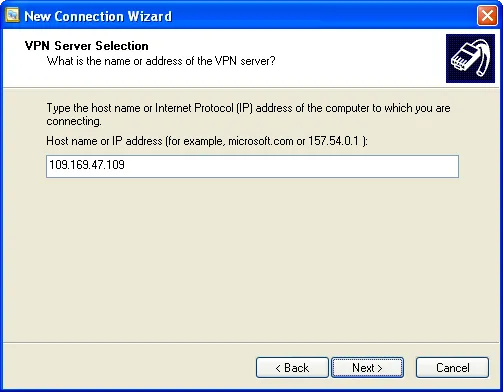 Enter IP address of PPTP VPN server. 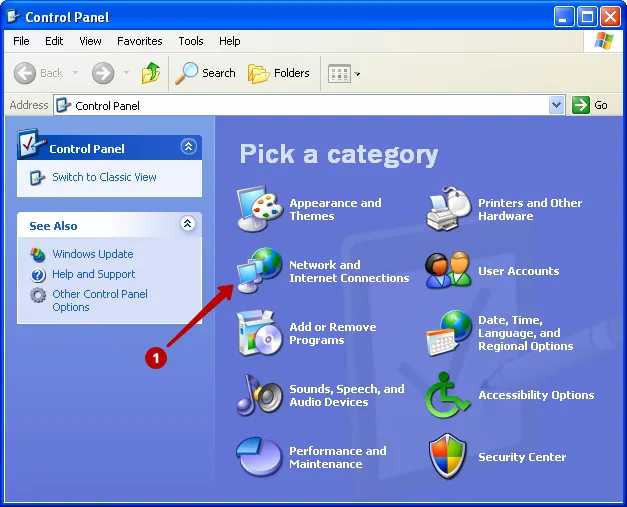 Select Add a shortcut for this connection to my desktop. 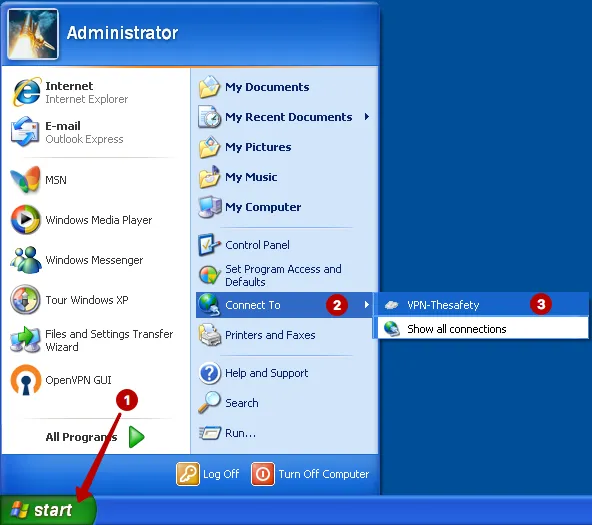 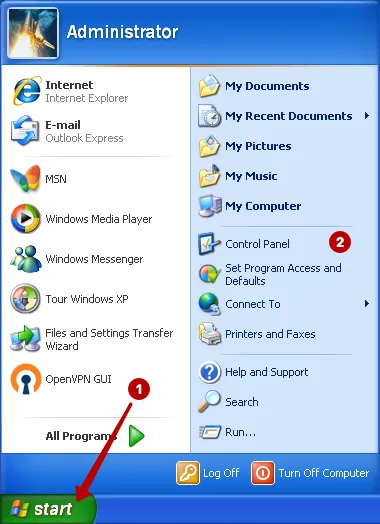 Connect to PPTP VPN in Windows XP. 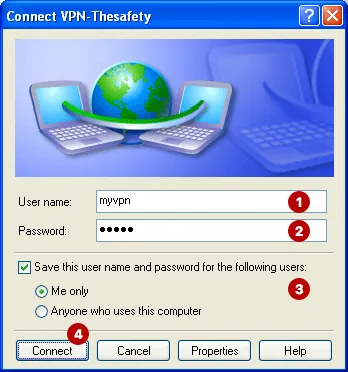 Mark Save this user name and password. 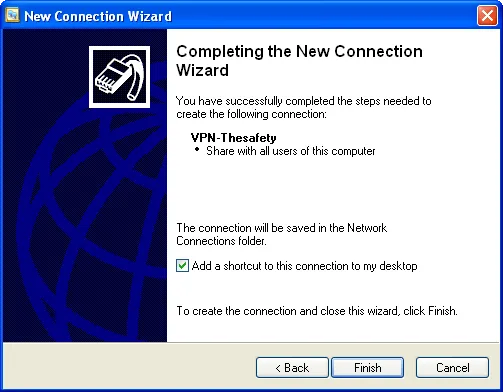 Click to connect to PPTP VPN.